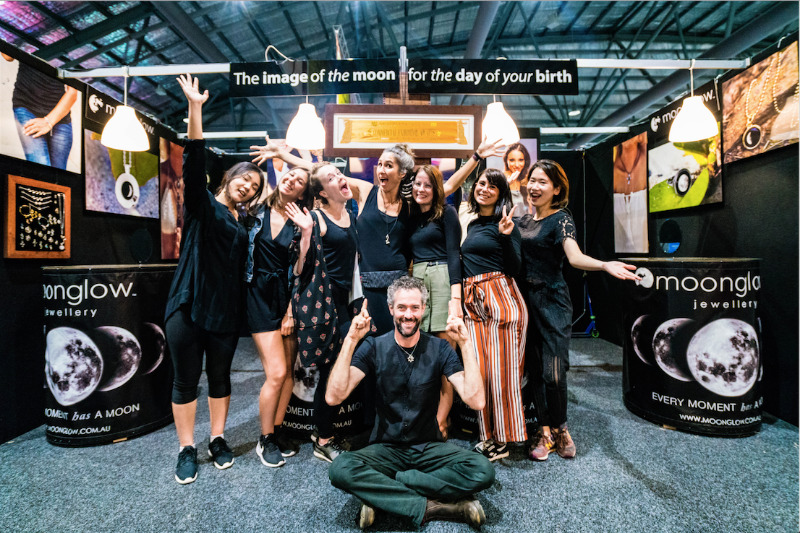 We have an award winning family jewellery business that has people see "the moon in the sky for the day of their birth!". We are looking for Energetic and Driven people to represent our company again this year at the Sydney Royal Easter Show. If you are a switched on person who is fluent in English, outgoing, genuinely excitable and has a sincere smile (where your smile reaches your eyes) then we want to meet you. We offer approximately 5-10 hours work per day. $18/hr base wage to $32/hr with attainable bonuses. Send Treva an email with your name, mobile # saying: " Take me to the Moon!!" if you would like to secure an interview!!! Some kind of sales experience is preferred. Backpackers with Working Holiday visa Welcome! Pick any date you want to commemorate-the birth of a child, an anniversary, a graduation - and find the exact moon phase through our moon phase chart. Once you have chosen your date , choose from our collection of bracelets, necklaces and more to carry your detailed hi-resolution image of your moon phase! As an added bonus, your moon will gently glow in the dark!